To my knowledge, there is not one iota of Mexican ancestry mingling in my veins. However, I do still enjoy celebrating Cinco de Mayo and all the wonderfulness of Mexican food culture. Last year on May 5th, we served mouth-watering carnitas, and our friends brought pomegranate margaritas and a Mexican chocolate cake that was deliciously flavored with a hint of cinnamon and chili pepper. When I was thinking about what to make for dessert this year, I know it doesn’t quite seem possible, but I found myself craving something other than chocolate. 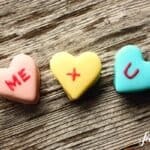 Must have something to do with all the brownies and turtle cake we’ve been eating lately! 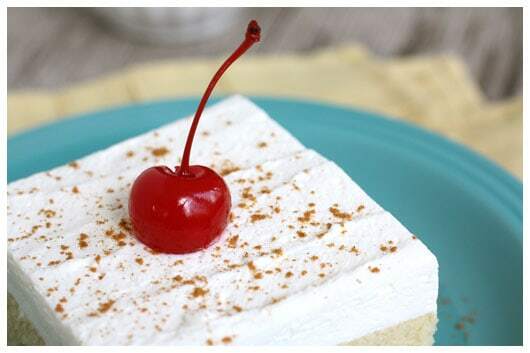 Tres Leches Cake is popular in many parts of Latin America and translates to Three Milks Cake. It’s simply a sponge cake soaked in three milks – evaporated milk, sweetened condensed milk, and half-and-half or heavy cream. The cake is very light, with lots of air bubbles to soak up all the milks, and does not turn soggy. It truly acts like a sponge. 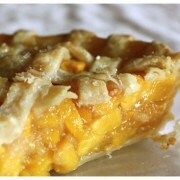 The milks account for its beautiful sweet flavor, and the slightly sweetened whipped cream layer is a delicate topper. I sprinkled mine with a bit of cinnamon to add some color and texture, and to bring out some additional cinnamony flavor. I did not expect my husband to like this cake much at all, but he surprised me with the opposite reaction. He liked it! And so did our oldest daughter, and the entire crew at work the next day, who got to eat what we couldn’t put away ourselves at home. One co-worker said it was the best cake he’s ever eaten, while another said this cake’s name does not do it justice. This cake was definitely a hit! * note: The cake is best when baked a day prior to serving, to let the cake soak up the glaze overnight in the fridge. Preheat the oven to 350°. Lightly grease and flour a 13″x9″ pan and set aside. Whisk together the cake flour, baking powder, cinnamon, and salt in a medium mixing bowl and set aside. Place the butter into the bowl of a stand mixer. Using the paddle attachment, beat on medium speed until fluffy, about 1 minute. Decrease the speed to low, and with the mixer still running, very slowly add the sugar. Stop to scrape down the sides of the bowl, if necessary. Add the eggs, one at a time, and mix to thoroughly combine. Add the vanilla and mix again. Add the flour mixture to the batter in three batches and mix until just combined. Transfer the batter to the prepared pan and spread evenly. It will seem like a small amount of batter for a cake. Bake for 20 to 25 minutes, or until the cake is lightly golden and a toothpick comes out clean. Turn cake out onto a rimmed platter and allow to cool for 30 minutes. Poke the top of the cake all over (alot!!) with a fork. Allow the cake to cool completely and then prepare the glaze. Whisk together the evaporated milk, sweetened condensed milk, and the half-and-half in a medium bowl. If you have a bowl with a pour spout, that works great! Once combined, pour the glaze over the cake. It will seem like alot of glaze…because, well…it is! Take your time and let it keep soaking in as you pour. The cake will not completely soak up the glaze until it has sat overnight. So, pop it into the fridge and finish it the following day. Place the heavy cream, powdered sugar, and vanilla into the bowl of a stand mixer. Using the whisk attachment on low speed, whisk together until stiff peaks are formed. Increase mixer to medium speed and whisk until thick. Spread the topping onto the cake, sprinkle with cinnamon, top with cherries, and allow it to chill in the fridge until ready to serve. Wonderful! I’m so glad you come back for this recipe. Enjoy! Will the topping holds its shape while decorating with a piping tip? You can substitute heavy whipping cream. That is how I make mine. I got my recipe from my mother-in-law in Mexico. Also, if you want to finish the cake up the same day you make it, but are worried about it soaking the milks, you can just pour them over it while it is warm. It soaks the milk better. In fact that is how they do it in Veracruz, Mexico. Can you flip the cake out of the pan, to decorate it, or do you have to keep it in the pan? If you read the directions, the cake is flipped out of the pan before decorating. If I only had whipping cream, I think I would dilute it with milk to equal the same 1 cup quantity. Please let me know how it goes! Is this the 112 Eatery Tres Leches cake? I love that cake and I am not a cake person! No, it’s not the 112 Eatery’s recipe. That’s just where I ate it for the first time. 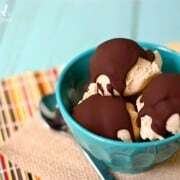 This recipe is adapted from Alton Brown. I wanna come to your house on Cinco de Mayo…pomegranate martinis, tres leches cake? That sounds positively heavenly! Hope you have a fabulous evening! 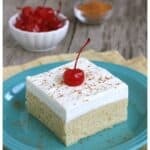 Tres Leches cake is my favorite, but I have never made it. Thanks for the recipe! Wow this was a nice way to celebrate cinco de mayo. I’ve never heard of this but it sounds amazing! Def a recipe to bookmark and make on a rainy day. Thank you for sharing this. Thanks for the heads-up about this recipe a few days ago. Looks great — I think I’ll give it a try (I have to stop sneaking Easter candy before I bake anything, though)! Have never tried a tres leches cake before but your sound and looks so good! I have bookmarked the recipe and will be trying it soon. Thanks for sharing:) ! I’m usually a chocolate girl myself, but I do have a weakness for a good tres leches cake. When I first saw the name of the cake I thought it was french haha! It looks amazing though. I wouldn’t be able to eat it on the diet I’m on but still, its good to look at! The cake looks amazing and it is sliced just so perfectly! Love your apron by the way! Thank you, dear Paula! And that’s Hatti (your admirer) in the apron! I love, love, LOVE tres leches! I used to have it all the time when I was a little girl living in Puerto Rico. I can still remember the taste even though that was 11-12 years ago. 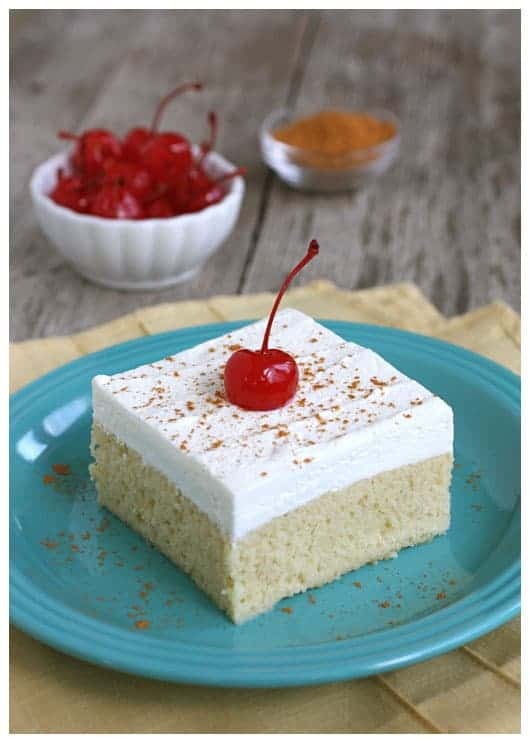 When I moved to the states, this is what I missed most and I kept begging my mom to find something similar to the tres leches that I would have in Puerto Rico. Sadly, I havent had any as good here as I’ve had over there. 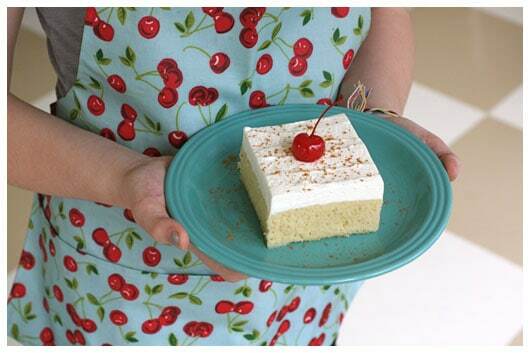 Your recipe does look so good though, and I like the little cherry on top; it adds a cute touch to the cake. I would just love to try the cake of your memories – wonderful to hear about your growing up with it. Thanks, Becca! I’ve been wanting to make one of these for the longest time. Yours looks just perfect (such clean squares)! Thank you, Kathy! Do give this a try! coolio! nice clean squares too–i always thought tres leches was a “messy” cake….great job! Thanks, Michelle! It really is a sponge cake. There is alot of liquid, but it stays pretty well soaked into the cake. I would not call it “messy”. What a lovely cake! Such a cute apron, too, matching the little cherry on top! Thanks for sharing. Thank you, Georgia! My daughters and I all have cherry printed aprons. The photo is of my oldest daughter. Saw you on Tidy Mom. This looks like perfection! Ohmagoodness, I Love Love Love Alton Brown and have wanted to make this cake for years, but you’ve surpassed my wildest dreams! It’s beautiful!! I can’t wait to try your adapted recipe! Thanks, Lauren. I will definitely be making this again!